Keeping Seniors Safe and Healthy in the Winter: Winter time in the northeast Philadelphia area is filled with uncertainty. You never know when a cold spell or winter storm will visit the area. Snow, ice, and cold all pose a threat to the health and safety of the seniors in our lives. 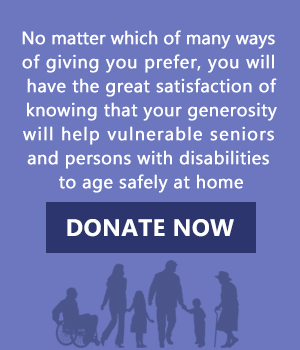 The bodies of older adults cannot keep warm as well as younger people can. Their metabolism is slower and their circulation is slower. Even if the room feels too warm for you, allow them to keep the thermostat as high as they need to in order to feel comfortable, at least 65 degrees. Dress warmly to keep in bodily heat. The National Institutes of Health says that older adults are especially susceptible to hypothermia. They should wear many layers. Provide thick, warm socks. Since so much heat escapes from the head, a warm hat is important, too. The senior’s shoes need to have adequate grip. Shoes that are worn out may be too smooth on the bottom to provide any traction while walking on slippery outdoors surfaces. Winter storms can cause power outages. Keep an emergency kit handy with a flashlight, extra batteries, non-perishable food, and an extra blanket. Prevent slips and falls. Be vigilant about clearing snow off sidewalks and driveways. 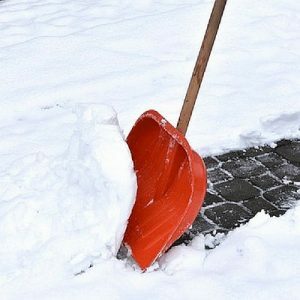 Enlist the help of a neighbor if you do not live close enough to do the shoveling yourself. Make sure there is a wide, clear path to the mailbox. If the outside stairs don’t have a rail make plans to install one. Put salt down when it is icy. This doesn’t just happen on snowy days. After a rainy day, the rain may freeze overnight posing a hazard when the senior steps outside in the morning. If your senior loved one is still driving, make sure that their car is in tip-top shape so that they do not break down in the cold or have inadequate tread on their tires. Fewer daylight hours means less sunlight which means less vitamin D. Be sure that the senior is eating a varied menu including foods that have vitamin D like fortified milk or grains. Doctors recommend that all seniors have the flu vaccine since the flu can be especially dangerous to older adults. Consult their doctor about what is best. Make sure that you stay on top of getting medication refills. You don’t want to run out on a day when there is bad weather and you cannot get to the pharmacy. Make sure the house is well-stocked with over the counter medicines and first aid supplies as well. Skin can be very dry during the winter months because of the dry heat from our indoor heaters. Seniors should keep their hands moisturized to prevent cracking skin and irritations. Watch for emotional health as well as physical health. In colder weather people stay inside more and the senior may not get as much social interaction. Be intentional about visiting and scheduling social activities. It takes a lot of thought and preparedness to care for the senior loved ones in your life. Contact Community Care of the Northeast to find out how our home health aides can come alongside you to keep your senior loved one safe and healthy all year long.